It was a time of transition. Ronald Reagan became US president, swinging the ship of state hard to starboard. The Cold War ended and the Berlin Wall came tumblin’ down. The first PC appeared in 1981, followed by the first cell phone in 1983—it weighed two pounds and cost nearly $4,000. In the music world, MTV was born and disco died, but not before bequeathing its dance beat to the fledgling genre of hip hop. Madonna and Michael Jackson ruled from on high, as punk became altrock, and heavy metal bludgeoned and blasted its way toward the top. 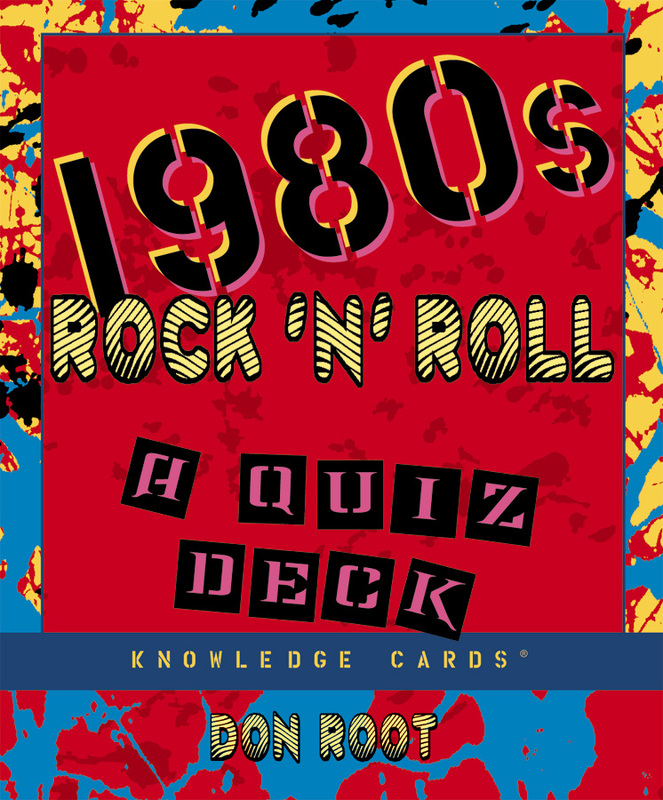 Covering the wide spectrum of eighties rock and roll, this deck of 48 question and answer cards issues a challenge: how much do you remember of the decade and its music? 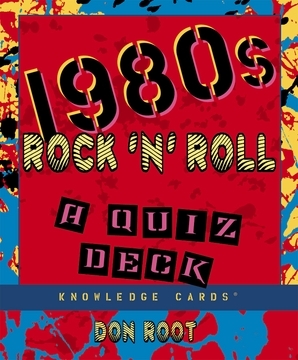 With a question on one side of each card and a concise, knowledgeable answer on the other, 1980s Rock ‘n’ Roll will entertain the solitary reader or give rise to a raucous multiplayer game. Music is a key to memory, and with this deck you may learn that you recall a lot more about the eighties than you’d thought.